Meat snacks with free-from and feel-good claims resonate with consumers who say they look at the ingredient list before buying salty snacks. According to Mintel’s report on salty snacks, nearly half of these consumers are interested in buying preservative-free meat snacks and grass-fed meat snacks. 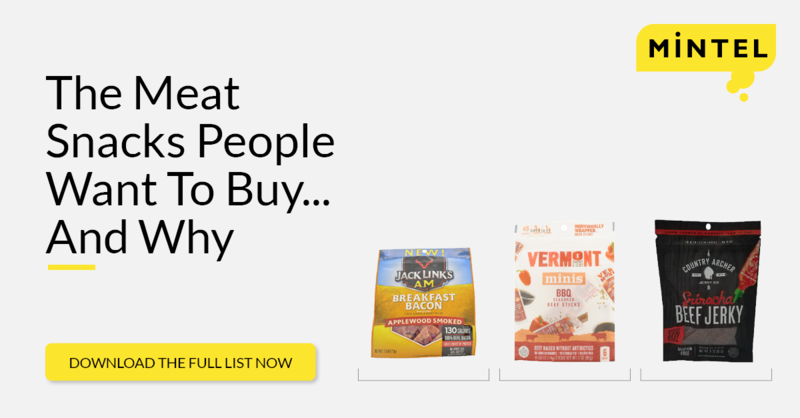 Looking at all of the meat snacks and other high protein snacks launched in the US between January and May 2017, Mintel has identified the 10 products with the highest purchase intent, as well as the reasons why consumers want to buy them. 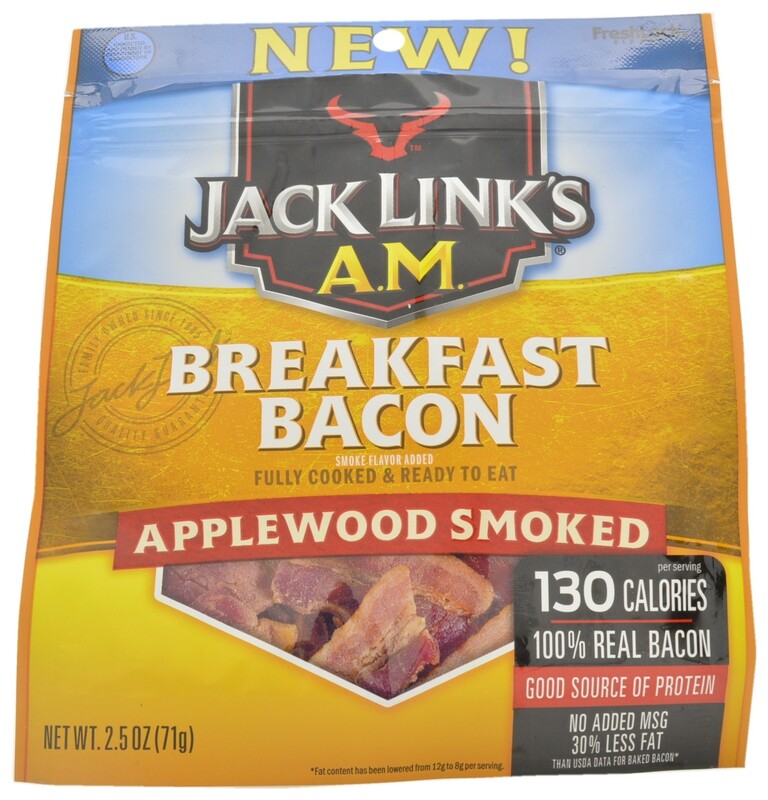 Jack Link’s A.M. Applewood Smoked Breakfast Bacon is made with 100% real bacon and is a good source of protein. It contains 30% less fat, and no added MSG. The fully cooked and ready to eat product has been USDA certified, can be microwaved for a hot breakfast, and retails in a 2.5-oz. pack featuring an Instagram, Twitter and a Facebook logo. 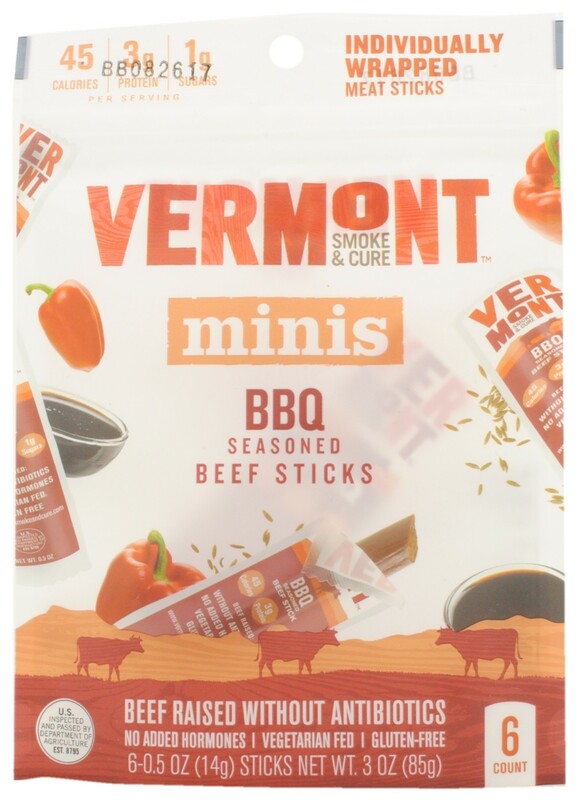 Vermont Smoke & Cure Minis BBQ Seasoned Beef Sticks have been relaunched with a new brand name, formerly known as Vermont Smoke & Cure. The USDA certified product comprises beef raised without the use of antibiotics and fed a vegetarian feed, red bell pepper, cumin seeds and molasses. It contains 45 calories and 1g sugars per serving, and is free from gluten and added hormones. This medium spicy product retails in a newly designed 3-oz. pack, containing six 0.5-oz. individually-wrapped meat sticks, and featuring the Certified B Corporation logo. 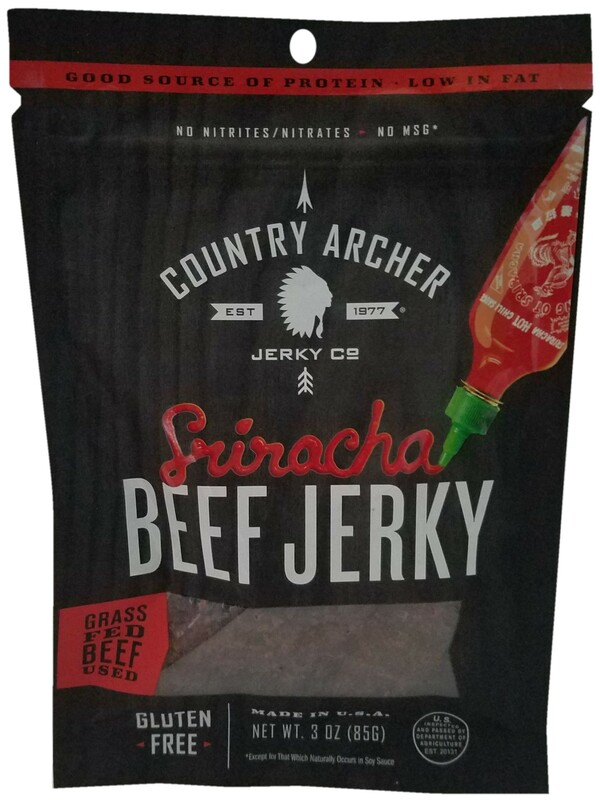 Country Archer Sriracha Beef Jerky has been repackaged in a newly designed 3-oz. pack bearing the Facebook, Twitter and Instagram logos. This low-fat snack is crafted from the finest premium, grass fed beef, and provides a good source of protein. The USDA certified product is free from nitrites, nitrates, gluten and MSG. DOWNLOAD THE COMPLETE TOP 10 LIST ALONG WITH KEY PRODUCT INSIGHTS NOW! For more information on this series or Mintel Purchase Intelligence, contact us.